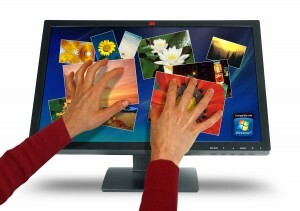 3M Touch Systems announced the availability of the 3M Multi-Touch Display M2256PW. With its ultra-fast, 20-plus finger multi-touch input and a high-definition, wide viewing-angle LCD, the M2256PW display delivers performance designed to exceed the requirements of the most demanding multi-finger or multi-user interactive applications. Based on revolutionary 3M Projected Capacitive Technology (3M PCT), the M2256PW display offers application developers full multi-touch capabilities with less than 6 millisecond response time for 20 simultaneous touches. The 3M Display M2256PW features a high-definition 1680 x 1050 LCD screen, DVI and VGA video input, audio input, USB and RS232 (serial) dual-mode communication protocol and durable, anti-glare front surface. Applications taking advantage of this high level of interactivity include computer aided design, digital signage, computer gaming, security monitoring systems, education and training, and telepresence. The M2256PW display is “compatible with Windows 7” so additional drivers are not required when using Windows 7. For Linux and Windows XP/Vista/7 operating systems, 3M offers a multi-touch driver and software utility, and will offer communication protocol documents for customers who wish to develop their own drivers.